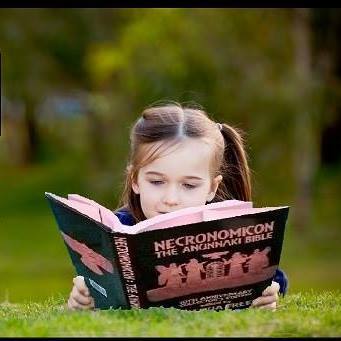 SEVEN YEARS AGO, in 2010, the Mardukite Research Organization finally surpassed material featured in the original collected anthology volume of the ‘Mardukite Core’ (Necronomicon Anunnaki Bible) with the release of LIBER-50, known then as “Gates of the Necronomicon” and later widely distributed among the public as SUMERIAN RELIGION by Joshua Free. To date, LIBER-50 and its companion work are the “most critically acclaimed materials from the Mardukite Research Organization” and are now available in one economical volume for the first time! The ultimate quest toward uncovering ‘ancient arts’ has one fundamental theme in mind: the establishment of true knowledge concerning the ‘powers’ these arts were dedicated to and then a working relationship with these powers. This is the true “wizard’s” or “priest’s” art, who pleases the “gods” in such a way as to attain “favors,” and does not waste time provoking malignant spirits to their circle, fearing for their lives at the mistaken utterance of an incantation. The true and ancient system is nothing like this. Sifting the sands of time, we are brought to learn at the feet of ancient traditions and spirito-mystical systems of the Middle East — not the Middle East as we know of it today — those born from ancient Sumerians and afterward extended to interpretations by Chaldeo-Babylonians, Akkadians, Assyrians and even Egyptians. The spread of this tradition across Europe (La Tene) led to even more fanciful and colorful realizations of the primary “Olympian mythology” that had first been realized in ancient Mesopotamia. SUMERIAN RELIGION (DELUXE EDITION) is a highly innovative and accessible ‘academic edition’ of the Mardukite Chamberlains “Year-2” research and development, including the complete text from two installments: “Sumerian Religion: Secrets of the Anunnaki & The Origins of Babylon” (Liber 50) & “Sumerian Religion II: Secrets of the Anunnaki in Babylonian Mythology” (Liber 51/52) in a single incredible compilation! Arriving on the surface world from the underground – an amazing insight into the Anunnaki ‘ancient alien gods‘ and the establishment of human civilization famously accounted by the Sumerian and Babylonian traditions. Prolific writer, Joshua Free, presents this topic such as the modern world has never before had access to, developed from the revolutionary work conducted by the next generation of Seekers actively using a revival Anunnaki tradition in the present day! The nature, identity and relationship that Anunnaki “gods” of ancient Mesopotamia -– the Sumerians and Babylonians -– is very important, not only for understanding the literally ‘Mardukite’ work, but also for possessing a greater ‘wide-angle’ vision of life, reality and existence – not to mention understanding your own place and legacy within it. All original and later work of the ‘Mardukite’ Chamberlains, all of these other authors and producers and their theories and explanations of things past, present and even future -– they are all dependent on a clear and concise basis of understanding and comprehension of the very root element that it all surrounds -– the very beings that made all of this history and human development possible. For without this key knowledge, and an objective one-to-one correlation of this knowledge with reality, all of the other research, reading and even the experience of life and reality is guaranteed to be experienced ‘out of context’ from what is Truth. Critical analysis of the details found within SUMERIAN RELIGION provides a solution! The meaning and innate desire to pursue truth, particularly what has been known as the Secret of the Ages, is no less obvious in the realm of science and academia then it is in the world of the occultist. Those who have been dubbed ‘esotericists’ are not the only ones who are interested in these matters, nor are they even the original ones. Only the methodologies and intentions differ. And yet again – all is connected. Without the intellectual and scholarly pursuits by historians and academicians, we might have far fewer clues toward this ‘mental image’ reconstruction of the past. Where then would the truth seeker have to draw his inspiration? From the fanciful recollections of distorted fairy-tales available to the surface world? Certainly, not. recovery of the truth of mankind’s past is paramount to the fate of humanity’s future. Thus, it should could by no surprise that the geographic terrain of its origins has been the victim of unyielding war and suffering for thousands of years – further enshrouding those unveiling efforts with a measure of hesitation and doubt painted by political opinions of the modern Middle East, and for our purposes, what the academicians have called the Ancient Near East. SUMERIAN RELIGION is not merely the presentation of dry academic renderings of obscure tablets; this book will take you on a progressive journey that is just as relevant and critical today as it was thousands of years ago! Uncover the mysteries that lay hidden in ancient Sumer, with a message so relevant today, it is no wonder it became the greatest kept secret of Babylon! Celebrating its ‘5th Anniversary’, SUMERIAN RELIGION (LIBER 50) has become an instant underground classic with thousands of copies in circulation since its exclusive debut with the Mardukite Chamberlains on Beltane: May 1, 2010. Now, five years later, SUMERIAN RELIGION (LIBER 50) remains the most critically acclaimed and widely circulated bestseller from the Mardukite Research Organization! The Sumerian and Babylonian traditions, Mardukites define as the Anunnaki Legacy, has influenced the planet, the cultivation of humanity and civilization more than any other aspect of history! Only recently, within the past couple decades, do we find awareness of these topics as common knowledge. Along with this influx is an increased amount of “fluff” and “bull-$#!%” created and propagated by many who caught this wave: they either actually believe they do know something or else are intentionally misrepresenting and misguiding the masses with misinformation now widely rampant in modern spiritual revivals, New Age literature and on the internet. SUMERIAN RELIGION providing amazing insight into the reality of the ancient Anunnaki — beings that Sumerians revered for establishing the systems of human civilization. Today, we consider these materials to represent Sumerian Religion at its finest. Prolific writer — Joshua Free — presents the combined lore and records of the Anunnaki in a cohesive picture… such as the modern world has never before had access to. SUMERIAN RELIGON (LIBER 50) is developed from revolutionary work conducted by modern NexGen Seekers actively and presently using a revival Anunnaki system. This 5th Anniversary Third Edition of SUMERIAN RELIGION provides new annotations and revisions, including an expanded appendix. Mardukite Truth Seeker Press is planning to release new ‘Eco-Editions’ of certain titles over the next few years. ‘Eco-Editions’ are formatted and designed for the best economical and ecological efficiency! The new 2015 Third Editions of SUMERIAN RELIGION and BOOK OF ELVEN-FAERIE are the first ‘Eco-Editions’ released. 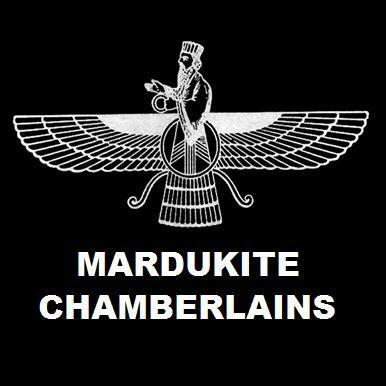 Originally released privately underground in 2010 for the Mardukite Chamberlains as “Liber 50“, this amazing tome now stands alone — unique as it is practical — revealing the nature, origins and traditions of Anunnaki “gods” of Mesopotamia (the figures who lead the mythology of ancient Sumerians, Babylonians, Akkadians, Chaldeans, Assyrians, Hittites, etc. ), which the public has previously only known through obscure communications: either insubstantial or overly-academic. Uncover the mysteries that lay hidden in ancient Mesopotamia in SUMERIAN RELIGION, with a message so relevant today, it is no wonder it became the greatest kept secret of Babylon! Fundamentally, the beauty and simplicity of the infinitude of space and pure potentiality of existence is enough for an “All-Existing Being” — but this is an almost “static” existence with no forces in movement – quite simply All-is-One (or none!) in the universe. The non-existence was not animated, not yet manifest and so required the “motion” of existence. This was born of duality, but of the highest spiritual intent and not to be confused with physical morality – for it was by the vary opposition of the currents of “chaos” and “order” set in motion with a gentle pendulum-like drive toward constant activity with one another that caused existence. A common interpretation of the ancient Sumerian semantics of this All-Being is best given as “ILU” in Chaldeo-Babylonian literature, a concept derived from the Sumerian “DIN.GIR” meaning essentially the “All-God”, drawn from the Source, but later pantheistic interpretations would translate this as a plural form: “gods”. The name ILU was held in reverence to the priests of Babylon who sought to “re-connect” with this source by “ascending” the “Ladder of Lights” or “BAB.ILU” – The Gateway to/of God (also known as the “Tower of Babel”). Later, when the name became blended with “gods” it was also connected to “stars” and the function of such became more clearly defined to some as a “Gateway to the Stars” or (as Daniel Jackson would prefer) a StarGate. The simplicity is immediately shattered when enter the philosophers and religious scientists for we have all-too-easily overlooked the stumbling block of our most ancient tablets concerning divinity. Biblical scholars now have conceded to the idea that the Semitic books of Genesis are indeed the product of a far more ancient Mesopotamian influence. God, the creator of existence, is found alone and everywhere at once, a “primordial sea” washing through an infinite abyss. The Akkadian Dynasty of Sargon began in northern Mesopotamia – in the land of Akkad. Although their territory and influence was of only tribal significance during the early rise of the Sumerians proper, but when Sargon of Akkad used his military to unify the “two lands” of Mesopotamia, he established the first post-Sumerian unified kingdom empire in the world – indeed, for the first time, the lands of Akkad and Sumer were governed from a single capital: Sargon’s city of Agade (the city of Akkad in the land of Akkad, like Babylon in Babylonia or New York, New York), a city named for the word “unity” in Akkadian language. AKKADIAN — as a culture and language — evolves alongside, but separate, from the southern Sumerians. It is fortunate, however, that they were participants in the same archetypal Anunnaki tradition. The Akkadian people established a unique proto-Semitic culture and language distinctly, but shared the Sumerian dedication to the Anunnaki “pantheon” in addition to using cuneiform ‘wedge-styled’ writing – or at least a refinement of the same – to represent their own language – the Akkadian language – which replaced the Sumerian emegir mother-tongue, then made way for the continuation of other Semitic languages, like Hebrew, Canaanite, Phoenician, Arabic and Aramaic. An assimilation of many pre-Babylonian (Sumerian) ‘programs’ and Enlilite ‘operations’ allowed for the refinement into post-Sumerian or “Mardukite” ideologies during the energetic change and power-shift as human civilization enters an astrological Age of Aries in c. 2160 B.C. The post-Sumerian Babylonian-Akkadian literary tradition shifts its emphasis from Enlilite World Order to MARDUK and the Mardukite Legacy and replaces the old paradigm altogether. The identities of the Supernal Trinity (ANU, ENLIL and ENKI) in addition to the Anunnaki pantheon and already established elements remain, but the emphasis is now on the ‘younger generation’ of Anunnaki represented in BABYLON. ANU – the distant “Father” in heaven who birthed/commanded the Anunnaki gods visiting earth. ENLIL – the local “Father” in the sky who cultivated the original establishment of Anunnaki gods of earth. ENKI – the patron “Father” on earth who maintains the Anunnaki systems and programs of existence. In the much anticipated follow-up to “Sumerian Religion: Secrets of the Anunnaki & The Origins of Babylon” (Liber 50), Joshua Free, a world renown authority on the Anunnaki, completes his presentation of this topic as the modern world has never before had access to, developed from the revolutionary work conducted by the next generation of Seekers actively using a revival Anunnaki tradition drawn from the ancient cuneiform tablets of the Sumerians and Babylonians in the present day.